First World countries have well-developed healthcare systems that employ medical regimens that have been empirically demonstrated to be effective. Despite this, many individuals, also in Germany, prefer to resort to the techniques used in complementary and alternative medicine, even though they may have been expressly warned against these. According to recent research, this may be associated with a potent underlying predisposition to believe in conspiracy theories, a trait known as a conspiracy mentality. "We have identified a significant correlation," said Pia Lamberty of Johannes Gutenberg University Mainz (JGU). "The more pronounced the conspiracy mentality of a person, the more that individual will tend to display a positive attitude towards alternative concepts and reject the use of conventional medical treatments such as vaccination and antibiotic therapy." This factor is something that needs to be taken into account in preventive healthcare and medical intervention programs. Psychologists consider a so-called conspiracy mentality to be a stable personality characteristic. Individuals with a strong proclivity to believe in conspiracy theories suspect that the world is actually controlled by hidden elites. This is presumably because these individuals themselves have the feeling that they have little or no control over what happens around them. Interestingly, there are numerous conspiracy theories that relate to the world of medicine, the distrust of vaccines being just one example. It is not a new phenomenon but has been apparent for some time. In the case of vaccination, the two groups of those who repudiate it and those who sanction it are completely at loggerheads. Medical approaches outside the mainstream are also finding favor in other contexts. 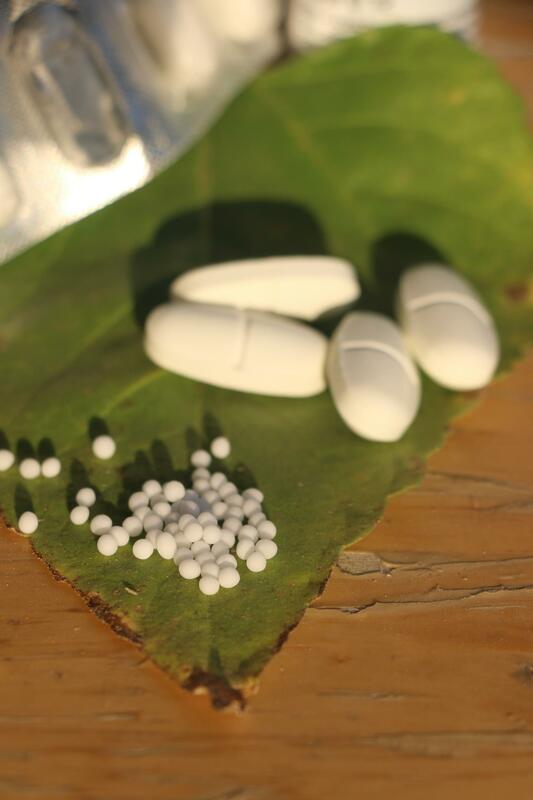 Data collected recently shows that almost 26 percent of Europeans employed complementary or alternative medical remedies at least once in a particular 12-month period, whereby the most popular were homeopathic and naturopathic medications. This popularity is all the more puzzling as science has to date not verified that homeopathy, as a case in point, has any detectable therapeutic benefits apart from the placebo effect. With this in view, Pia Lamberty and Professor Roland Imhoff of JGU's Institute of Psychology have undertaken several studies with the aim of analyzing the connection between belief in conspiracy theories and the preference for alternative forms of medicine. They asked 392 study participants in Germany and 204 in the USA about their attitudes to a total of 37 different forms of treatment, from aromatherapy, Bach flower remedies, hypnosis, and yoga through to the use of antibiotics and blood transfusion. Among other things, the subjects were required to specify how often they used the treatment in question and how effective they considered it to be. "In Germany, we found there was a clear-cut, remarkably close interdependence between a conspiracy mindset and the tendency to prefer alternative medical treatments," Lamberty pointed out. A similar correlation was identified in the USA, but there it was less well-defined. In two further studies, this result was confirmed. Here it was also demonstrated that the psychological link between a conspiracy mentality seen in terms of a political outlook and a preference for non-conventional medicine was based on a distrust of power structures. "Anything considered to have power and influence, such as the pharmaceutical industry, is treated as being highly dubious by conspiracy theorists," explained Lamberty. In one of the studies, the participants should decide about the approval of a fictitious herbal drug against anxiety, gastritis, and mild depression. Subjects with a strong conspiracy mentality rated the fictitious drug HTP 530 as more positive and effective if it was developed by a group of patients considered powerless than by a pharmaceutical consortium. For Pia Lamberty and Roland Imhoff the ramification of this with regard to healthcare is that this generalized distrust of power structures can influence the way that people make decisions regarding their own medical treatments. "An individual's understanding of his or her illness and choice of treatment may thus depend on ideology-related personality traits much more than on rational considerations," the two authors wrote in their article published in Social Psychology. A conspiracy mentality can thus actually determine what patients believe to be the real cause of their disorder, what they consider to be its initial symptoms and physiological effects, and whom or what they select for their treatment. However, the two Mainz-based psychologists stress that their results should not be interpreted to mean that, by implication, it is also the case that everyone who uses alternative therapies also believes in conspiracy theories. After completing her research into the relevance of conspiracy theories to medicine, Pia Lamberty is now writing her dissertation on the subject of the role played by conspiracy theories in radicalization processes. For this purpose, she will be spending a year at the Ben-Gurion University of the Negev, where she will be financed by a Minerva Fellowship. Individuals with a pronounced conspiracy mentality see non-established medical concepts, such as homeopathy, in a much more positive light and tend to use these more frequently.